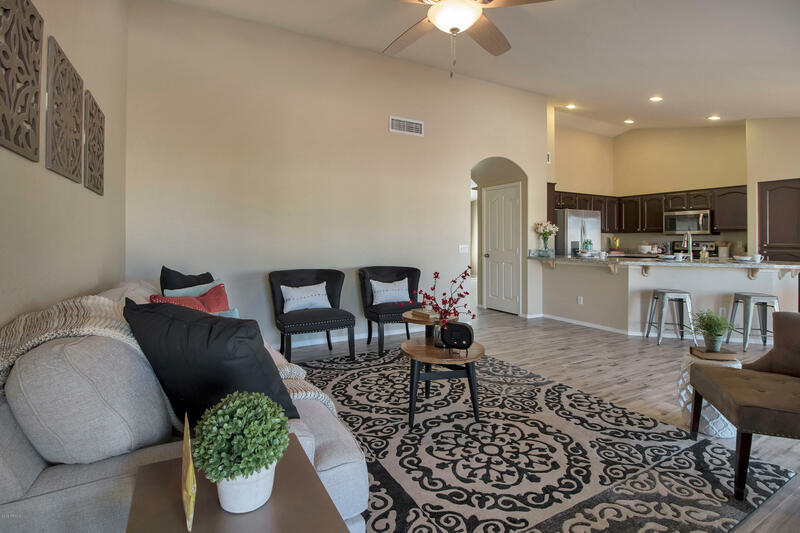 All PEBBLECREEK UNIT NINE homes currently listed for sale in Goodyear as of 04/19/2019 are shown below. You can change the search criteria at any time by pressing the 'Change Search' button below. "Nice 2 bedroom, 2.5 bath, Diego Model in gated Pebble Creek 55+ Community, must be 55 years old or older. Home is near a golf course, tennis court, and restaurants. Front and back yard desert landscape.Seller just built a new back yard fence February 28,2019"